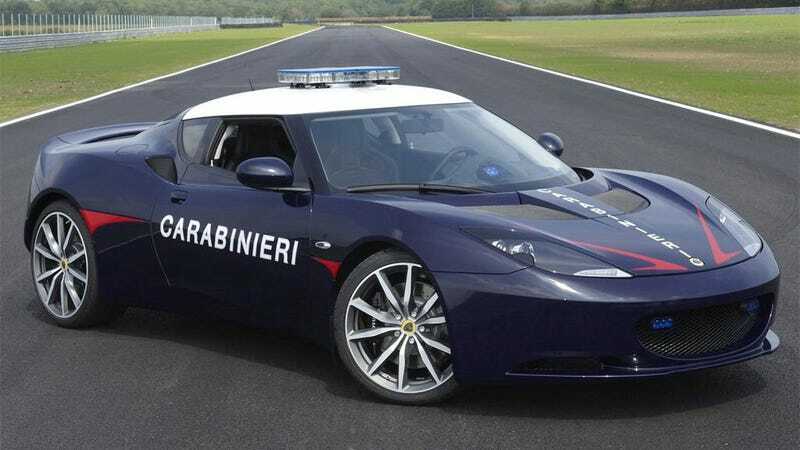 The Italian highway cops have their Lambo, but the hard-asses at Arma dei Carabinieri are getting two Lotus Evora S cruisers. The specially-equipped cars have voice recognition tech and a refrigerated compartment for blood-and-organs transport, or keeping their Limoncello cold. Apparently, all this time we've been ignoring the rest of Colin Chapman's famous quote: Simplify, add lightness, then bust perps.